Inspired by the places I’ve been and where I’ve yet to go, I have custom designed and curated not only one, but two gorgeous rooms available for your session. Both “The Salon” + “The Boudoir” rooms feature huge windows with ample natural light, beautiful on trend hardwood flooring + high 16ft. ceilings. 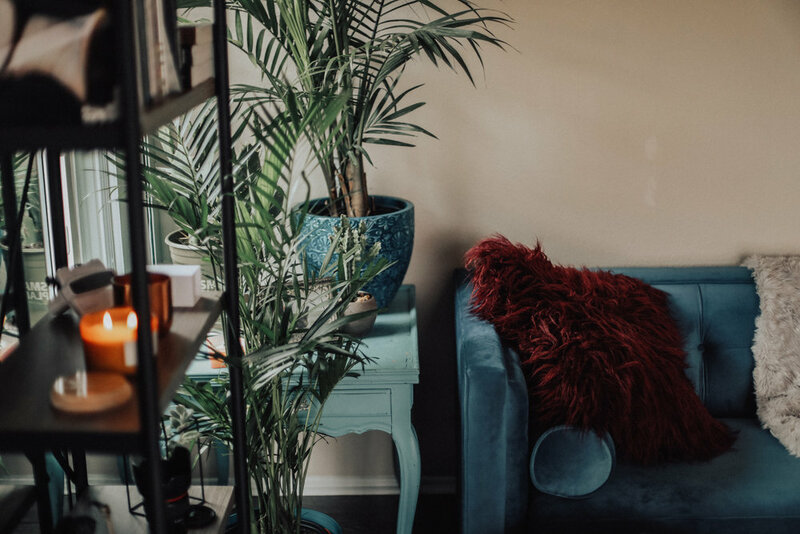 The Boudoir includes a bedroom set and The Salon is a chic meets boho set with a gorgeous couch, huge french door style window, and tons of greenery. Both rooms are available for your session to create multiple moods and looks. Having shot all around the country in tons of different locations - some of the best and some of the worst - I have custom curated only the best most on trend details to accent each room and to add mood and style to your session. Boudoir wasn’t intended to just take place in a bedroom - It can be anywhere and should be anywhere. In my studio, you will find tons of little boho-inspired details throughout. I have made a point to shop local in Oceanside and support other small businesses. Shopping small and local is something that is super important to me + my business. Be sure to check out Wild Habit and Reap and Sow on the 101. BONUS- they’re right next to one another! The Salon offers an additional style and feel to your session that you just simply cannot get from just shooting in “The Boudoir”. 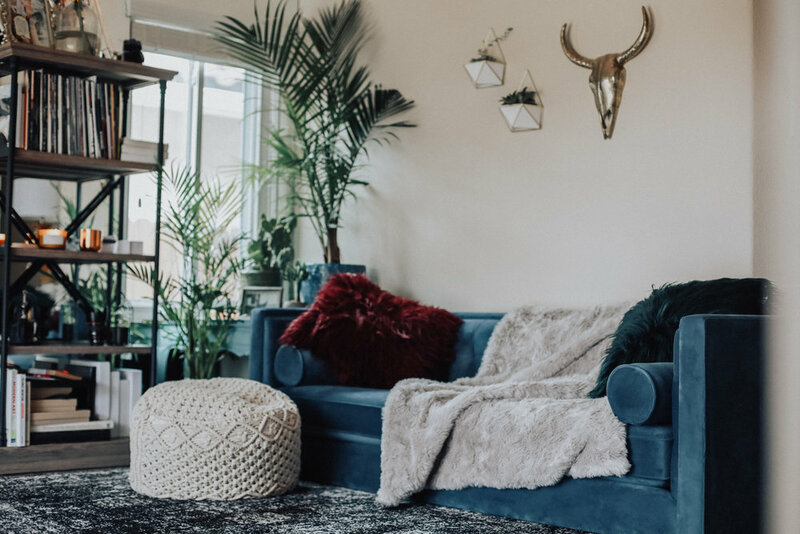 It is my love child where I really took time and energy to curate only my favorite things - inspire by the places I’ve been - to create an additional space with a totally different mood and vibe. The Boudoir is a gorgeous, sun drenched bedroom set. It is detailed with beautiful decor from local shop owners in Oceanside. Secure and private, yet drenched with gorgeous natural light.